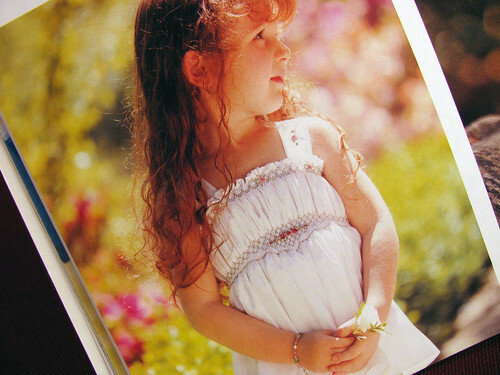 If or when I am lucky enough to have a grand-daughter I will make some of the cute girl clothes I see in pattern books. I have the book “Designer Smocking for Tots to Teens”. These are the first two things I would make. This one for a baby girl. I saw it first in a smocking forum post. I thought it was so cute I had to find the pattern. And this little top I just love. It is in the same book. There is also a pattern for cute Capri pants with ruffles to wear with it. Maybe I should just make them anyway, just in case. This entry was posted on Sunday, January 18th, 2009 at 3:00 am and is filed under Embroidery and Sewing. Tagged: Embroidery, Sewing. You can feed this entry. You can leave a response, or trackback from your own site. So cute! I have 2 boys…both grown. But my brother has 2 girls – 6 and 3. It’s SO fun making stuff for them!